His Excellency, Alhaji Shehu Shagari, former President and Grand Commander of the Federal Republic of Nigeria. 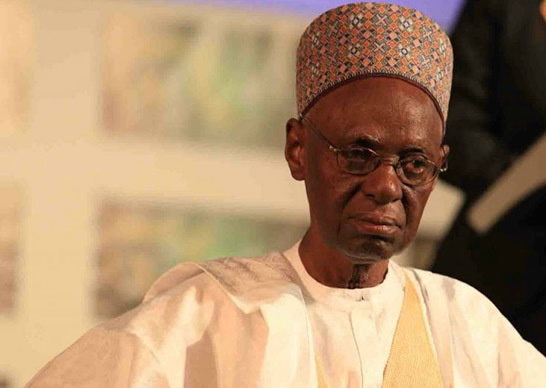 Former Nigerian President Shehu Shagari is dead. He passed away at the National Hospital Abuja on Friday. He was aged 93. The news was broken by the Governor of Sokoto State , Aminu Tambuwal, on his Twitter handle. Shehu Usman Shagari was born in 1925 in Shagari village founded by his great-grandfather, Ahmadu Rufa’i, who was also the Village Head, and took the name Shagari as his family name. His father’s name was Aliyu and his mother ’s name was Mariamu. Between 1944 and 1952, Shagari attended the Teacher Training College in Zaria, Kaduna State; and from 1953-1958, he worked as a visiting teacher at Sokoto Province. The late ex-president entered politics in 1951 when he became the secretary of the Northern People’s Congress in Sokoto, Nigeria, a position he held until 1956. From 1962-1965, he became the Federal Minister for Internal Affairs. And from 1965 up until the first military coup in January 1966, Shagari was the Federal Minister for Works . Shagari ran for a second four-year term in 1983 and won the general election. However, on 31 December 1983, he was overthrown by then Maj.-Gen. Muhammadu Buhari.